Who was the man behind the music and what was his enduring influence on popular music? Did his reach extend to impacting the social and racial politics of his age? 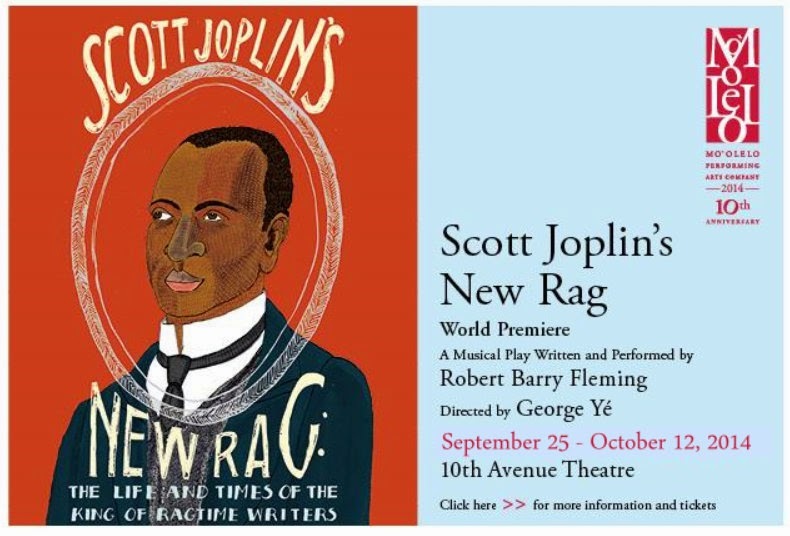 SCOTT JOPLIN’S NEW RAG: THE LIFE AND TIMES OF THE KING OF RAGTIME WRITERS is a contemporary meditation on Joplin’s historical legacy, established in the turbulence of the American post-reconstruction era. Spoken word, hip hop, and live ragtime music propel this theatrical exploration into the mind and music of this genius who lived during the Gilded Age which only glittered for some. In this world premiere piece, playwright and solo-performer Robert Barry Fleming examines aspects of Joplin’s life – his inspirations, struggles, and dreams – in a multi-dimensional, deconstructed, one-man musical event. *Members of Actor’s Equity Association, the union of professional actors and stage managers in the United States.